Interested in what goes on behind the scenes here at Bostonian Jewelers? 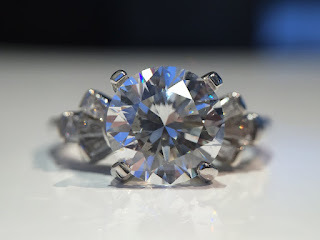 Custom designs, restorations and expert advice on all things jewelry. Read on. Meet Alexandria Matossian, the Designer and Creative Director of Bostonian Jewelers. She’ll share her extensive design knowledge to inspire you and help push your creativity to the next level at Solidscape’s JCK booth B65079. 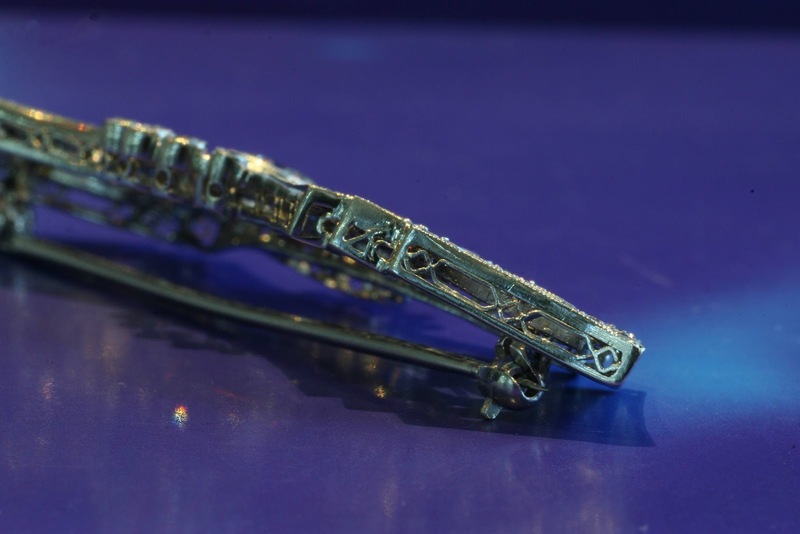 As a trained metalsmith, Alexandria was one of a very small handful of jewelers to embrace CAD designing at the very beginning as a path to creative and business success. Today, many of her designs have been included in print publications like Modern Jeweler, Boston Magazine, and National Jeweler. Even the most inspired designers need help bridging the gap between great design and physical reality. Meet Alexandria to discover new jewelry design inspiration! to push your creativity to the next level. ~It starts in your head - Making 3 color rings. It is an exciting time to discover new jewelry design inspiration! Going to JCK Las Vegas? Visit Solidscape booth #B65079 in the Essentials pavilion for an opportunity to talk with one of the industry’s early CAD CAM adopters. During the Skinner preview on Sunday, we were inspired by many works of art and period pieces. 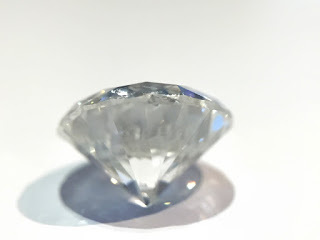 A few stood out for us, not for their carat weight, size or their particular provenance, but for the sheer craftsmanship and the method involved to create. Some pieces took months to create in artist's studios, but all show a level of creativity and skill to amaze. Lot #495 stood out for us for the engineering and interactive artistry involved. 18k Gold and Plique-a-Jour Enamel Flower Brooch. This brooch is amazing and entirely handmade. The flower is comprised of five articulating petals which allows the owner to wear the flower as a bud or in full bloom. The precise hinge mechanism at the base of each petal, work together to glide open and close. Moving parts on jewelry always adds a layer of complexity to any design due to the small size. Add to that years of use and age of the materials and eventually a restoration is needed. Lot #495 is in perfect condition. 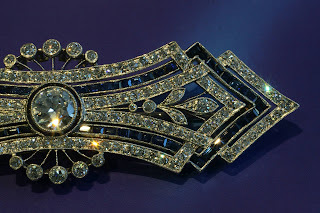 Probably created in the 30's, this brooch was gently loved. "letting in daylight". The artist creates cells or intricate frames similar to cloisonne but without a backing so the light can shine through through the transparent or translucent enamel. 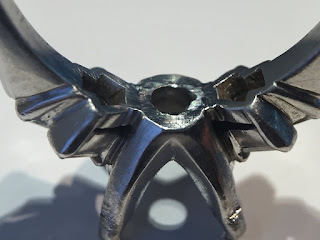 The enamelist will place a small amount of material in each cell, floating a small air pocket within the enamel to suspend the material in place. It is fired at high temperature to create the stained glass enamel look. Incredible. 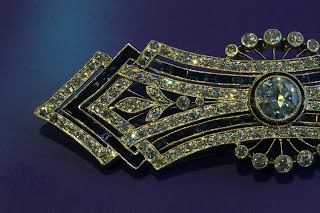 The petals and the framework are stunning, but what makes this brooch come to life are the sapphires and diamonds set en tremblant. A French term meaning " to tremble". 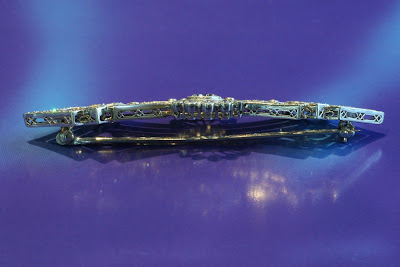 This technique is typically used on brooches with foliage or organic themes. In this case, each gemstone is set on a stem to resemble a fluttering stamen at the center of the flower. 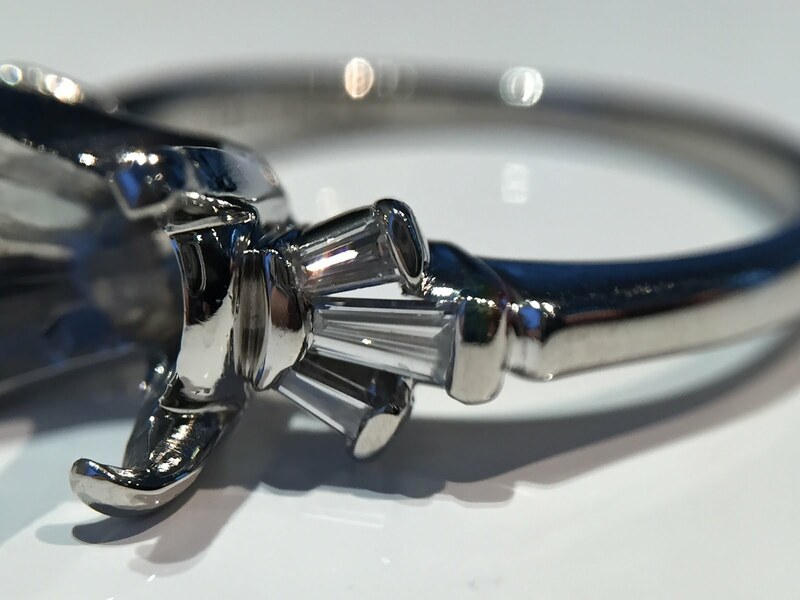 The jeweler incorporated a spring component for each one called a trembler. Over the years, Bostonian Jewelers have restored various trembler mechanisms. This requires the knowledge of how to create them as well as the knowledge of various types of tremblers created over periods of time. The movement within the bright green enamel is fascinating to look at and must have been a conversation piece at many cocktail parties. 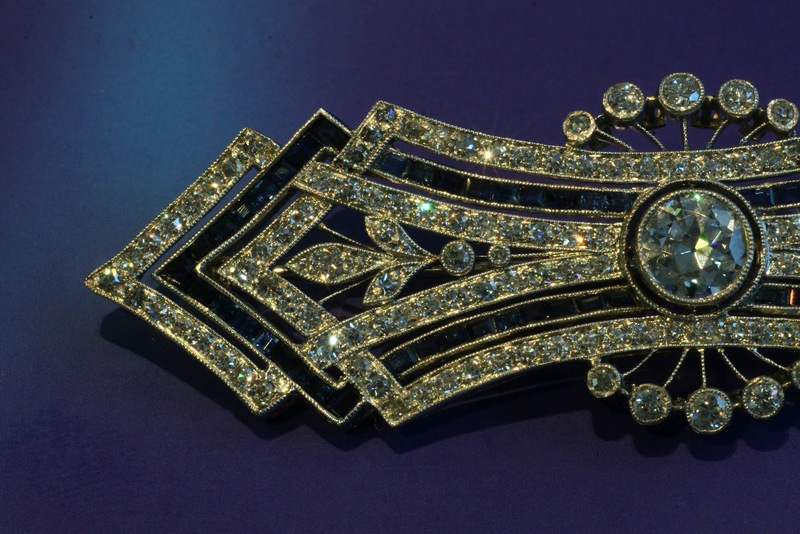 This brooch is on display at the Skinner auction preview until noon on Tuesday when it will be up for auction. If you are in the Park Plaza area, this is a must see (and touch). 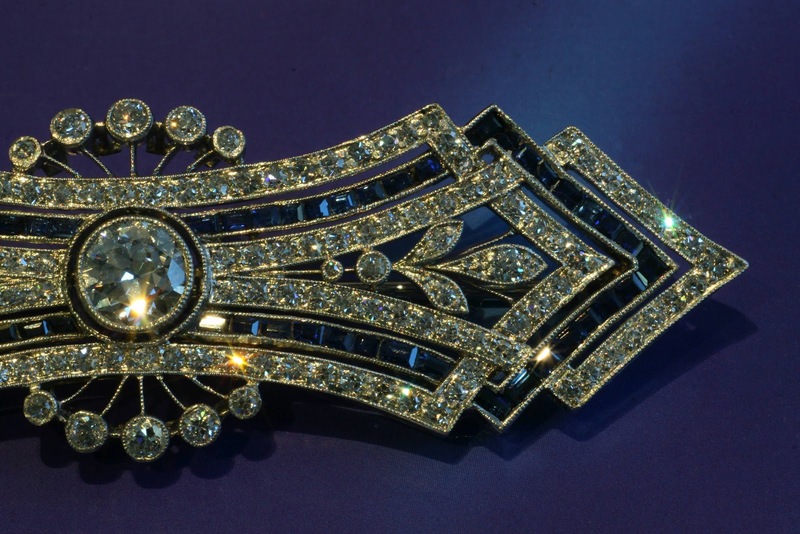 Another example of en tremblant applied in fine jewelry is this spectacular butterfly brooch. 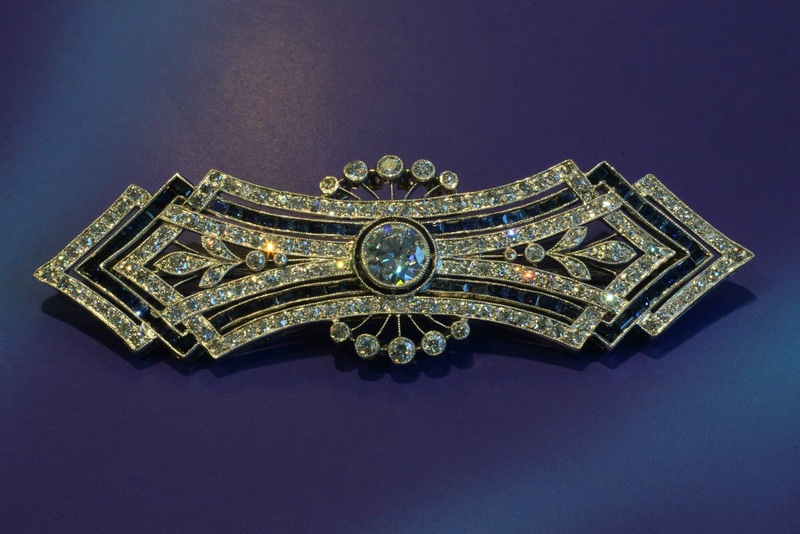 The brooch was created to move as one unit and catch your eye from across the room. The trembler is attached to the backside clasp element. The inside spring is coiled up within the disc creating the tension needed for movement. The movement or articulation of parts on works of art is not anything new, but we are seeing the technique being used in new and creative ways in the jewelry industry. A new generation of designers and the expansion of the technology available has exploded the possibilities. Bostonian Jewelers has been in the business of restoring antique and period jewelry for generations. We appreciate the skill, time and passion that is required to create items similar to these, but we also appreciate the love that owners have for their heirlooms. 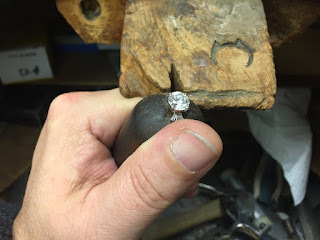 If you have a vintage item that has en tremblant or you suspect that it may have this technique at some point, contact us for a consultation. Location:Boston, MA Bostonian Jewelers and Manufacturers, Inc. Recently we had a client approach us with a ring she inherited from her husband's family. 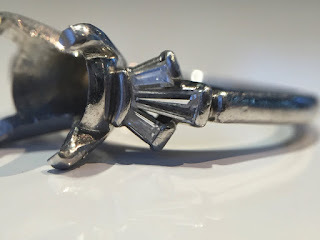 The ring has been gently loved for about 40 to 50 years and she would like to restore the glory of the design, as well as wear it on a daily basis. 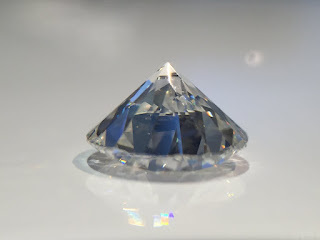 The diamonds have taken a few heavy blows over the years which contribute to their lack of brilliance. The center diamond has 2 large significant chips on the girdle of the stone and the major side baguette diamond is broken in half. The challenge for this project is multifaceted and this is why we felt this would make a great topic for a blog. 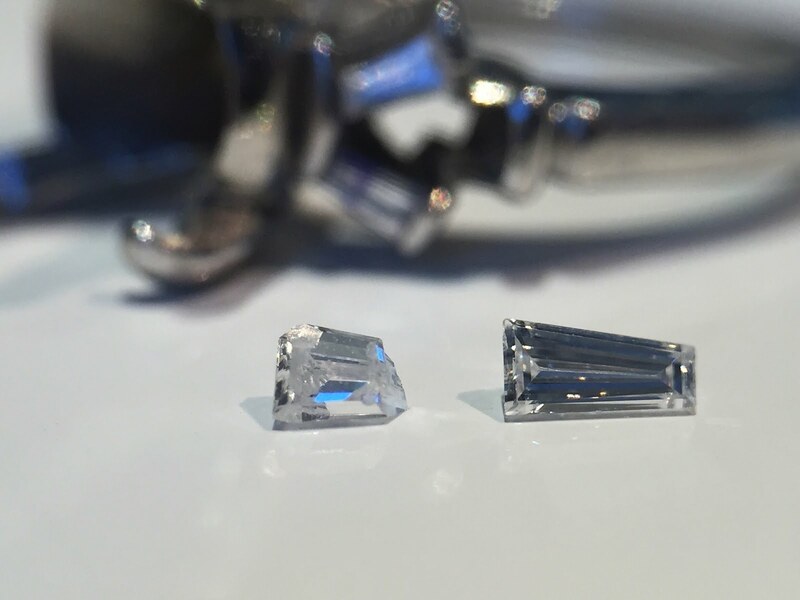 We will need to work close with our diamond cutter to repair the damage on the center diamond. This needs to be done with minimal weight loss, as well as little to no effect on the symmetry of the modern cut. The diamond currently weighs 2.44 carat. 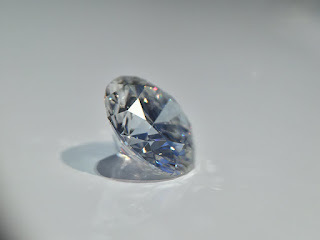 We anticipate the diamond will weigh 2.10 when we are complete. This is a minor sacrifice for a major gain in beauty, brilliance and value. We will need to locate a tapered baguette replacement diamond for the side. This needs to blend seamlessly in color, cut, and shape to be considered a perfect match. Once these parameters are met, we can move onto restoring the platinum settings and the rest of the ring. 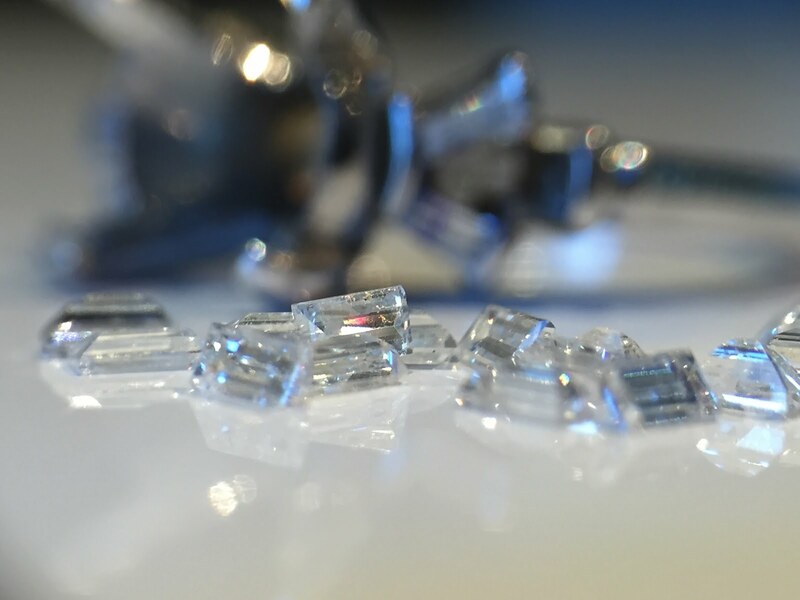 While our professional diamond cutter is re-cutting the center diamond, we have the opportunity to sort through many potential baguette diamond replacements. 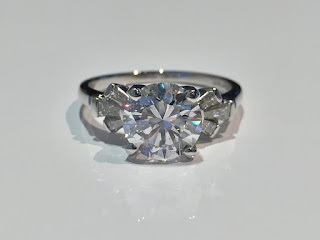 The perfect baguette is one that matches all characteristics in shape, size, color, and clarity, ensuring the rings attributes are restored to its original make. Once the new diamond baguette has been selected, it is set within the restored tab prongs, not just for the newly selected baguette, but for all the baguettes within the ring. Not only does this ensure that all the baguettes, new and original will be secured for future years of wear, but it also creates a constant appearance throughout the ring. The center diamond is returned from our professional diamond cutter weighing in at 2.09 carats, which came close to our original estimate of 2.10 carats after being cut. 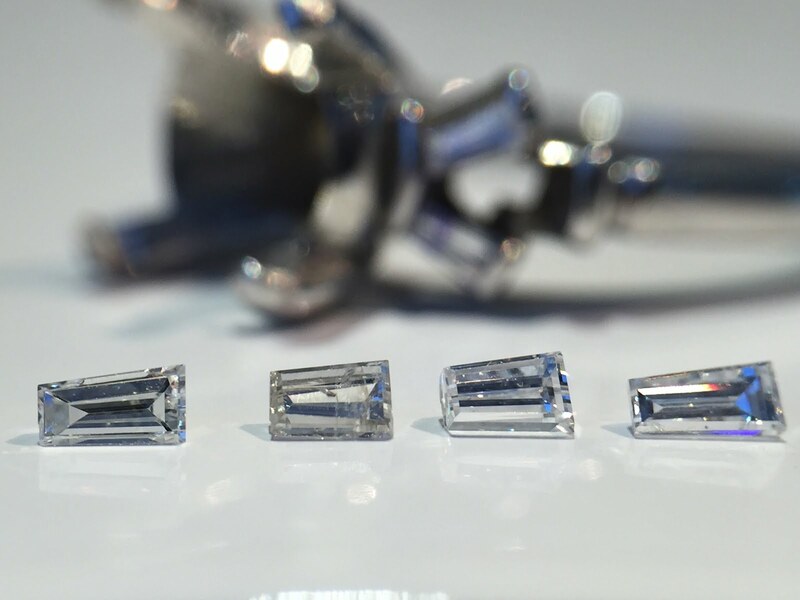 The brilliant diamond can now be reset within four restored center prongs, ensuring the diamond is safe and secure. 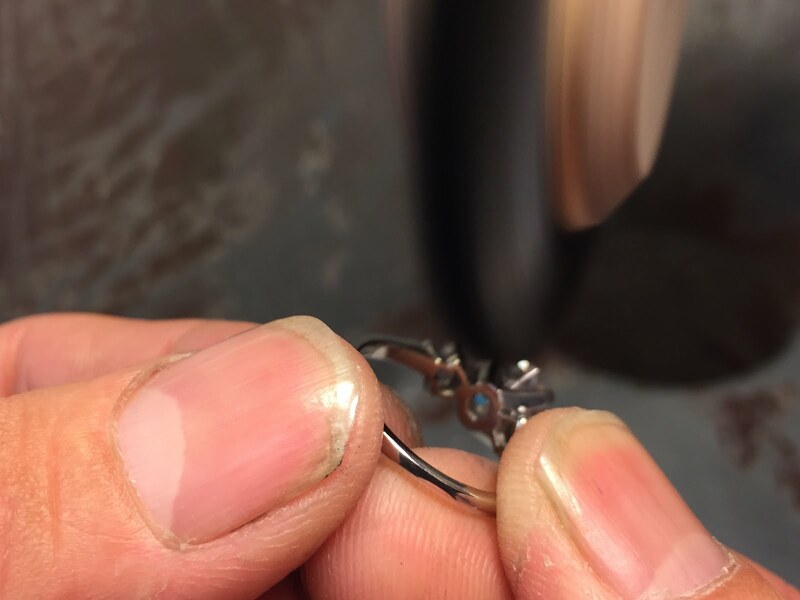 The entire ring gets a final polish and cleaning to ensure an exceptional appearance when being presented back to the owner. This Summer, we had the pleasure of working with a long time client. She is always on the move, crisscrossing the country. Boston is a frequent stop for her, however the West Coast is where she calls home. 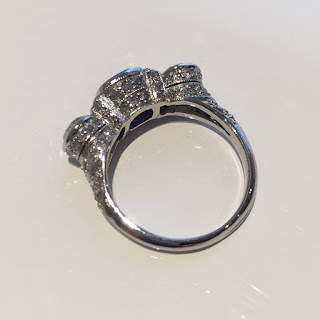 She has a deep appreciation for all jewelry, so we can all connect on that level creating some amazing pieces for her through the years. 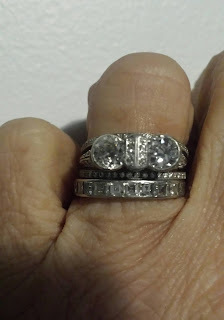 Recently she became engaged, her fiancé gave her an amazing and unique vintage ring including twin European cut diamonds bezel set side by side on top if the ring. 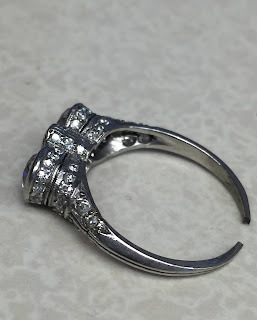 The condition of the ring was typical for a ring that is over 100 years old. The shank was worn, thin and split. All the settings on the sides were worn as well as the under gallery being compromised by wear over the years. 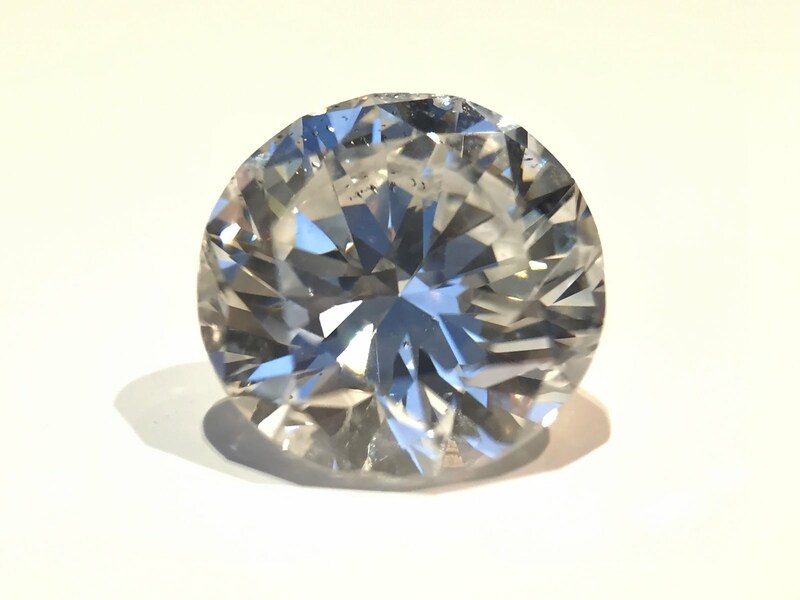 incredible gem in the center sandwiched between the two twin diamonds. 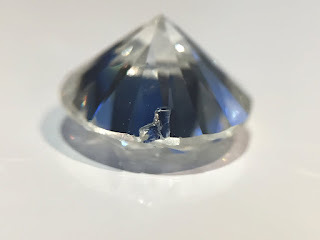 She has an impressive collection of loose gemstones in various shades and intensities, but a cushion shaped sapphire with intense color was the perfect selection. The bezel setting was created in CAD and fitted into place, however the remainder of the transformation was hand tooled in our workshop. Our team worked ﻿﻿together to make our client's dream of the perfect 'enhanced" engagement ring possible. When our customer arrived to pick up her ring, she was overjoyed. 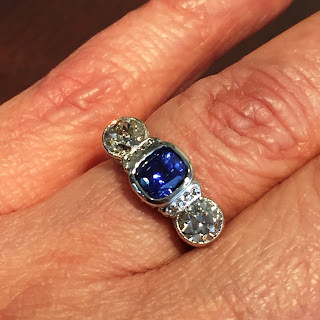 Not only was her vintage ring restored to a wearable condition for everyday use, but her ring had transformed into the style that she had always envisioned for her engagement ring. Having vision and trust in the design and restoration process to create a spectacular heirloom to enjoy for many years to come. 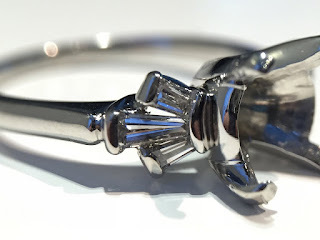 Do you have a vintage ring that just does not suit your style? Can it be re-imagined? Contact us to discover the possibilities or visit our website for more information on restorations and our process. Skinner is one of the world’s leading auction houses for antiques and fine art. It is the only full-service auction house with their headquarters in New England. Founded over four decades ago, Skinner offers more than 60 auctions annually. Skinner auctions reach an international audience and showcase the unique, rare, and beautiful in dozens of categories, including the fine and decorative arts, jewelry, modern design, musical instruments, science and technology, wine, and many others. Currently Skinner has two locations; Marlboro MA and Park Plaza Boston. One of their specialty areas is the Fine Jewelry Department. This department was founded by Gloria Lieberman in 1980. 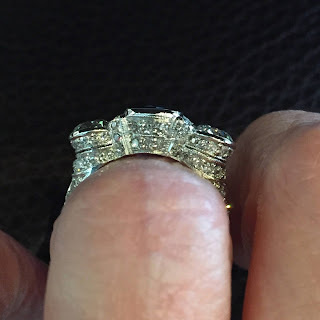 She sought Bostonian Jewelers, specifically Hagop Matossian for expert restorations. 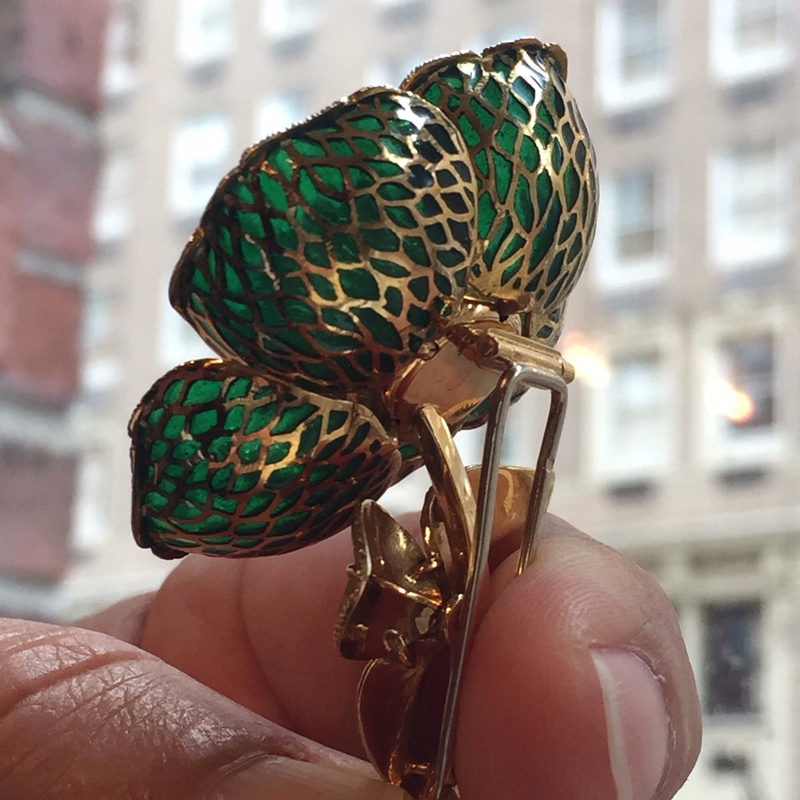 Mr. Matossian’s passion for vintage objects and his “ make it right” attitude gives him a unique perspective during the Fine Jewelry preview. All preview attendees are welcome to ask Mr. Matossian about objects in the sale. Some items included are in perfect condition and others have been gently loved over the years. He can provide his opinion on condition, restoration or value in the marketplace. The Skinner Jewelry Auction provides two full preview days, as well as their online catalog (below). The Live Auction is always scheduled on a Tuesday. If you plan on a visit to Skinner’s Park Plaza location for the preview, Mr. Matossian is only available on the Sunday prior, from 12 to 5pm. 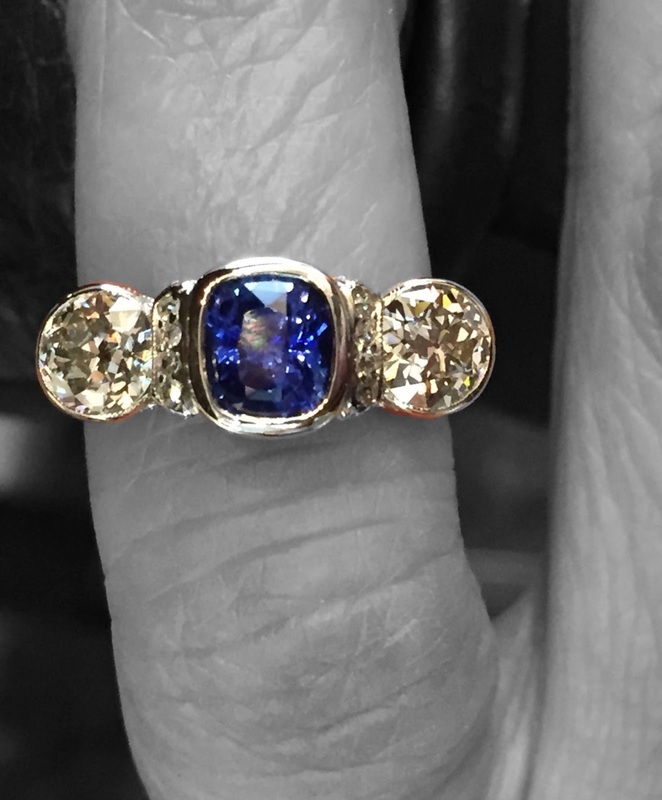 If you have questions regarding your own vintage or period restoration and would like to schedule a consultation with him in his Downtown Boston location, please call 617-523-2934 or email him directly at hagop@bostonianjewelers.com. 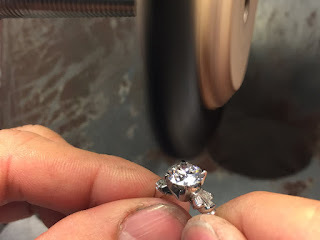 Bostonian Jewelers & Manufacturers, Inc., located in downtown Boston in the Jewelers Exchange Building, specializes in estate and period restoration, custom design and manufacturing exceptional jewelry. Family owned and operated since 1969, Bostonian Jewelers uses the latest in Laser technology. They can restore even the most intricate of antique and period jewelry in platinum, gold, sterling silver and base metal. Skinner’s Holiday auction is always the event of the season and is sure to bring all things Merry and Bright. 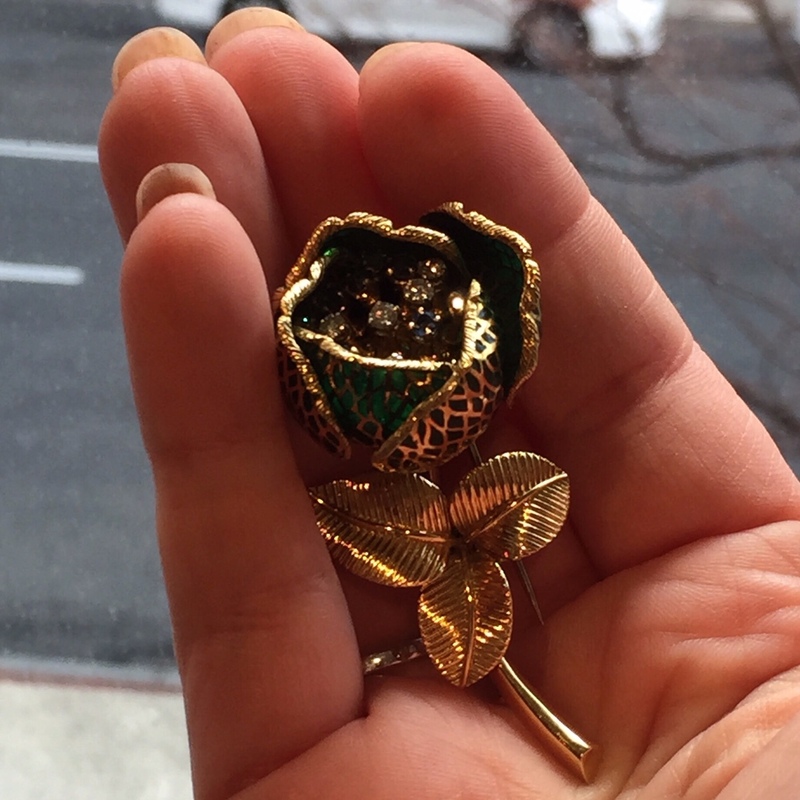 An out of state client contacted us to restore her grandmother's heirloom brooch she had inherited. I asked her to take some photos from all angles and email them along. A few days later my heart sank when I opened her email and saw the condition of a piece of history in shambles. Her item was completely destroyed on both sides inward, as it had been run over by cars multiple times on a busy Philly street. 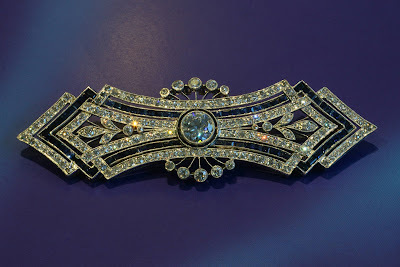 This brooch was in serious need of tender love and care. 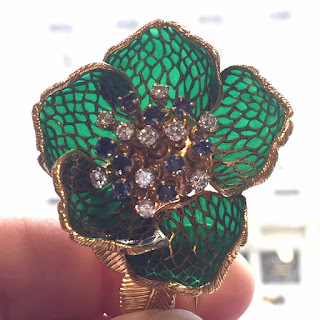 The owner had contacted many jewelers in and around the state of Pennsylvania, none were willing to take on her project of restoring this beautiful brooch. When I held the piece in my hands, I saw why. These are the actual client images sent to Bostonian. After about three weeks into the project, we have turned the halfway point on this restoration. 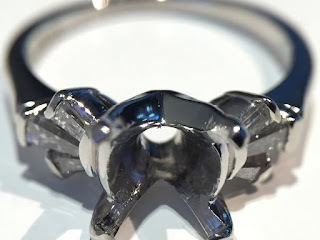 We have reformed the platinum in the center areas and crafted new outer segments to be attached. 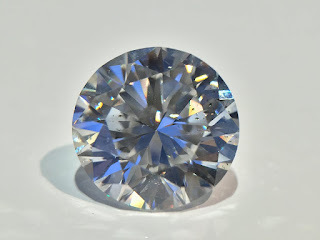 Next is to custom cut all the small square blue sapphires that are going to be remounted. Damaged outer frames removed (not in pic) center section re-aligned and new top outer frames fabricated. Two goldsmiths work together on this project. One is focused on the metal fabrication including the filigree details and the other, being a superior gemstone setter, on the diamond and sapphire setting and assembly. We finished the top tier on both left and right side, set all of the gemstones and assembled them back to the brooch on both sides. We have fabricated the bottom frames for both sides and hand crafted the fine Art Deco filigree wire that will be assembled and welded in place to secure the middle of the top and bottom tier together. This will replace the original filigree work that was destroyed along with adding structural integrity to the frame of the brooch. The hardware for the pin stem and catch is the last area of restoration. 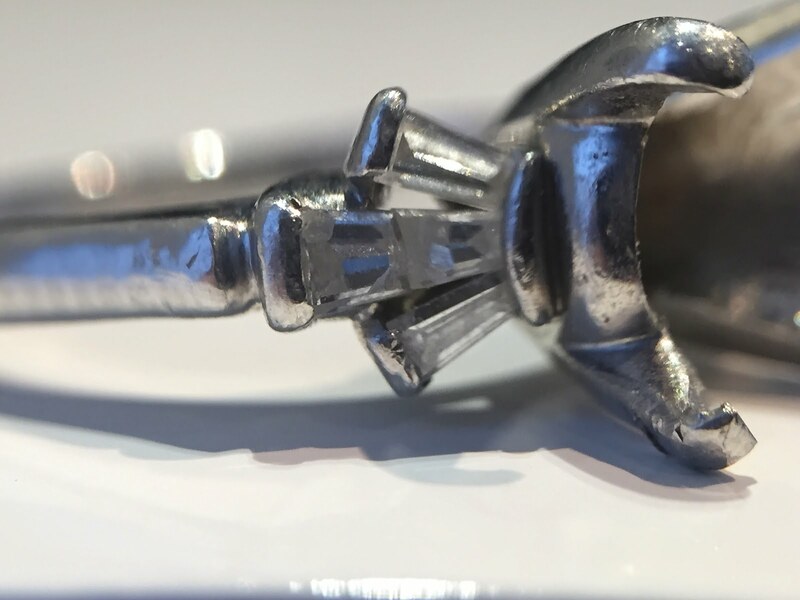 We were able to salvage and recycle the original platinum pin, however the client chose to update the catch system to a modern style, to ensure better safety for future wear. A final quality control and polish completes the project. This restoration has taken the team at Bostonian a period of twelve weeks from start to finish. Each day dedicating four to five hours of the goldsmith's time. It was quite a challenging project in many aspects, but equally as rewarding to see an heirloom continue on it's journey. With the Super Bowl this weekend, what better topic to discuss than NFL jewelry! and how jewelers are involved in the game? But first, some interesting facts. These rings are not only huge, but expensive. Upwards of 5K per ring per player and multiple carats of diamonds. Many players say they simply don't wear jewelry and will only wear these things for public appearances. The Super Bowl ring represents a collective and symbolic memento for the players and team members to immortalize their victory. So who has the most bling? Wikipedia update: Neal Dahlen. He earned 7 rings in his many years as an administrator with the 49ers and the Broncos. Read more about Neal Dahlen 'Lord of the Rings" . We'll see if anyone tops his record this weekend. Who makes the rings? That honor goes to a list of 6 or 7 jewelers that bid each year on a design contract of 150 customized Super Bowl rings, bragging rights and great publicity. The NFL cap's the spending at $5,000 per ring, which means that the jewelers will have to absorb the cost for anything over that $5,000. On the opposite end the company who is awarded the contract also creates the losing team rings. According to NFL policy the losing team ring is only allowed to cost half of the winning team's ring. 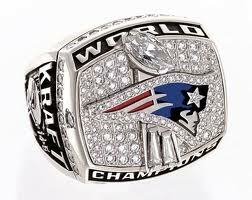 A company called Jostens tops the list of ring designers with a total of 26 Super Bowl Rings. They were also the first company to design a ring for Super Bowl I champs, the Green Bay Packers. a great timeline through Super Bowl history. The rings over the years have evolved from humble to humongous! 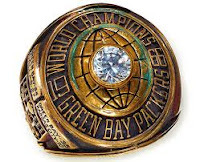 The first Super Bowl ring was designed out of yellow gold and a single round diamond. Today they're "blinged" out and covered in diamonds, intricate pave and multiple color gemstones. 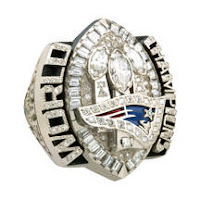 One of the most impressive Super Bowl rings ever was the Patriots 2005 Super Bowl ring. It boasts 124 diamonds, 3 of which are shaped like footballs and a total weight of 4.94 carats. It's made out of 14k white gold and has intricate diamond pave wording and small side sapphires on the ring. This years ring's have yet to be released but in the spirit of the Super Bowl...I predict many, many diamonds, 14K white gold and quite the big ring size! So while some of you watch the game for the sportsmanship, some for the company or food, and still others for the commercials; we'll be waiting for the next day when the designs are released and our predictions are right!